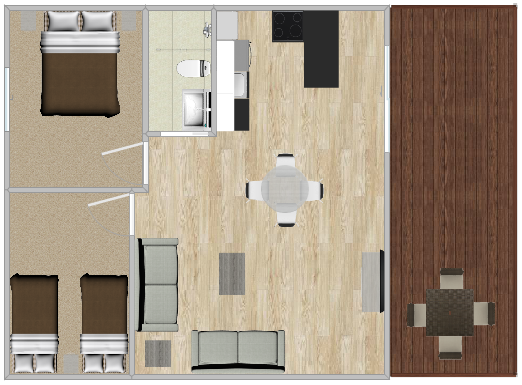 These brand new Eco-Villas are perfect for a family, with full kitchen facilities, lots of space and a lovely balcony. Not to forget the amazing eco-credentials of under floor heating and cooling, solar heating with battery storage and amazing insulation. It is the perfect place to while away the days, either on vacation or visiting friends and family. 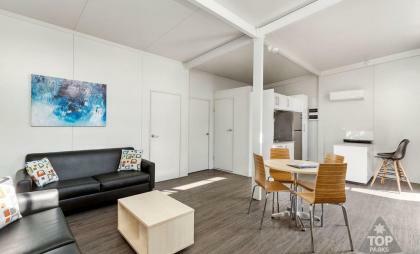 Our most luxurious cabin, it has all that you need for a wonderful stay in Gawler.